This is not a story about me. It’s not a story about me. It’s not a story about me. It’s a story of the gracious redemption that God is weaving when we are unaware of the light but mighty sketches on our lives. Jesus offered redemption to the woman at the well. He offered redemption to me at the pump. It wasn’t long after our diagnosis of fertility troubles that I left my job at a church to move into a corporate role at a national shoe retailer. In my role I acted as a project manager for national PR and community outreach efforts for two footwear brands. I had the pleasure of working with a small PR firm in Greenville for the two years I was there. Coincidentally (or not, as it happens) those two years traced our steps from David’s corrective surgery through IUI, my pregnancy with Nora Beth, and her delivery. I returned to work for about a month, and then left to begin working as a full time freelancer and contractor. I very loosely kept in touch with my lovely contacts at the PR agency and fondly double tapped and liked their life updates. Eight months after leaving that company, we lost a pregnancy, and the grief announced itself most rudely in the moments when I dared to think about what would have been with that life. I will never stop being thankful that I had the joy of Nora Beth’s life to hold in my arms while grappling with the loss, though knowing the full range of maternal happiness and love served to underscore the magnanimity of it. Of not being able to feel him or her laid on my chest for the first time. Of not being able to watch a minuscule hand wrap around my index finger. Of not sharing the most intimate moments curled together and breastfeeding. More than a year removed from those dark days, I see the loss now in the frame of reference that I gained Annablair through it (and, I believe, profoundly, it was her all along… just not ready for the world quite yet). And while I don’t long so much for the pregnancy that was too short, because I know it brought me that goodness that is her, a part of my heart will always want those still, quiet moments with the baby I didn’t have right then. On the night of March 13, 2017, I could not stop thinking about my liaison at the PR company in Greenville. I had seen that she and her husband had recently adopted a baby boy just a few weeks younger than Annablair. I didn’t know the details of their adoption or situation, and since I only knew her as a professional acquaintance, I wasn’t sure why she was impressed so deeply on my heart that night. “Oh my goodness, Caroline! I’m in shock. This is truly an answered prayer. I’ve been asking God for breastmilk… as strange as that sounds.” Later in our conversation, she let me know that on Monday night, March 13, she began her specific request that someone would supply them with milk. The very same night that God began impressing her so deeply in my heart as I sat nestled in the glider feeding Annablair. Since March 15, I’ve been shipping this precious family bags of milk. I’m certainly not the first to donate breastmilk, and others have assuredly been able to do it more generously than I am. It’s a small gesture, and it’s the only thing I have to provide, but it moved me to tears last week as I calculated the bags I was sending vs. keeping and realized that God was redeeming the pain of losing the child I would never be able to feed ounce by liquid ounce. 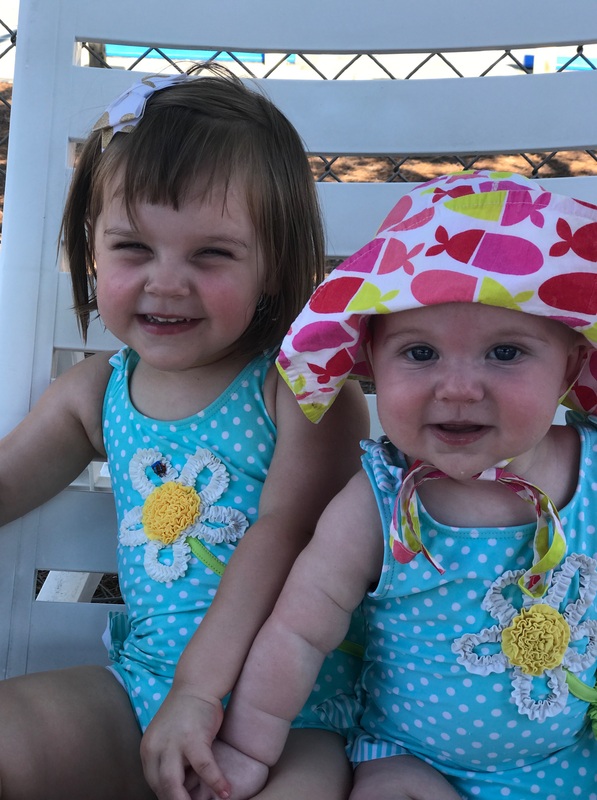 In His perfect goodness, He has ascertained that my body can feed these two miracles… both of whom have served as the resounding and beautiful “Amen,” to the multitude of prayers for both of our families. He is a Redeemer. A creative, splendid Redeemer. He will meet you at the well with a gift of restoration, or in my case, at the pump with a wellspring of life.